The BBC is one of those organisations that is ingrained in the British culture along with tea-drinking to solve any emergency and driving on the left hand side of the road. 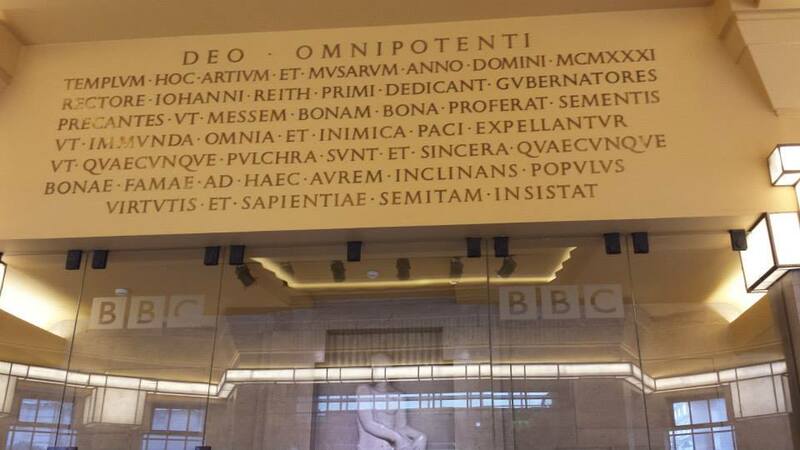 As soon as you walk through the door of the BBC, you feel as if you are walking into part of the national history, even though the building is new. 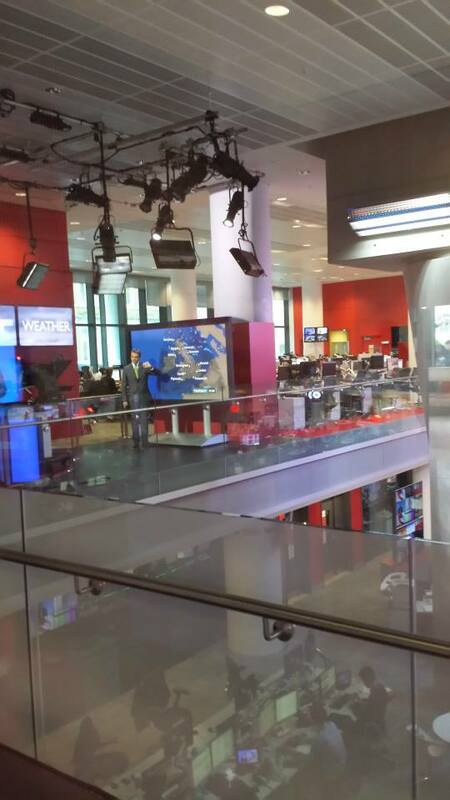 The BBC tour begins with a sweeping overview, literally, of the News floor. The walls and waist-height barriers are glass and you look down on a large open plan office space. You can clearly see people working at desks, including some well-known faces and also some of the studio broadcast areas. The upbeat guide talks us through the organisation of the the News department and how it is physically arranged and points out who sits where. The amount of information the guide imparts is imense. For instance, the news anchors are normally at their desks for at least 4 hours before broadcast to prepare. Huw Edwards wrote 80% of his own scripts. The BBC share a helicopter with ITV and Channel 4 but not with Sky. They are usually tipped off about breaking news. 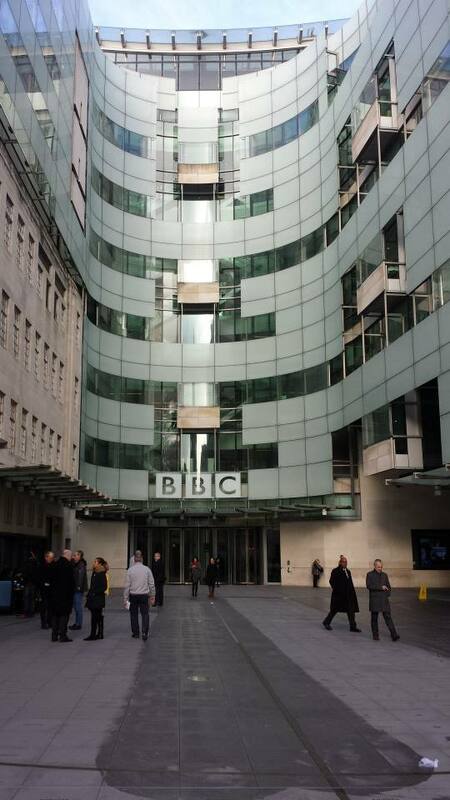 There are 6,000 people working at the BBC postcode. We watch the weather forecast being recorded and receive a wave (between takes) and the children also have a go at making a little news broadcast. We see the One Show studio, (in the Peel wing), with the window/street view as a backdrop. They barricade the around the immediate area so that people aren't pressing their noses against the glass during recording. The coffee shop chain in the building across the piazza is the only unbranded one in the country, due to BBC's no advertising policy. We hear a bit about wide angle lenses and the way TV makes things seem broader and some of the challenges in broadcasting, particularly live broadcasts, today. We then go over to the Portland building, which has been refurbished. Here, we hear a little more about the history about the BBC; how ladies had to wear stockings in the 1930s and Lord Rees' insistence that people dress for dinner before you address the nation. George Orwell worked here in 1941-1943 for the then Empire Service, unfortunately there is no known recording of his voice anywhere in the world. During WW2, a 500lb bomb was dropped on the building. Bruce Belfry was reading the news at the time and didn't react to the bomb drop at all, so as not to give away whether it was a hit. We also hear about radio and the children take part in an interactive radio play. There is a choice of speaking parts or sound effects. The adults watch in chairs set up for a live audience. 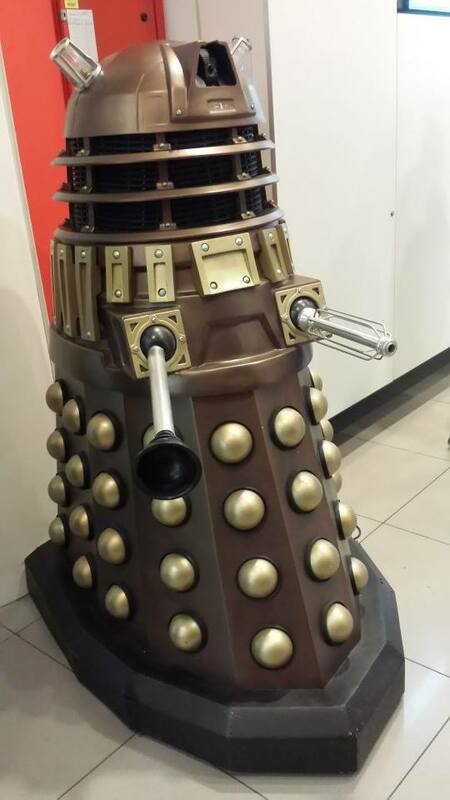 Part of the tour's appeal is because the BBC is such a familiar institution, although possibly less so for children due to the variety of channels now available. The tour guides were full of information and trivia and their delivery was upbeat and enthusiastic. Although there are some practical elements to the tour, it is very much a talking and walking tour. We had a block booking for 25 children and adults at a cost of £7.25 per child and £10.00 per adult. Under 9s are not allowed due to the news room being part of the tour. The tour is wheelchair friendly but they do limit the amount of wheelchair participants per tour.